LANDAUER is expanding our commitment to Corporate Social Responsibility. To protect our client’s privacy and enhanced data security, effective April 1, 2018, LANDAUER has transitioned the delivery of all dosimetry reports electronically via the secured myLDR portal. In May 2018, the General Data Protection Regulation (GDPR) has come into effect throughout the European Union and replaced the UK’s Data Protection Act. Privacy of personnel data is key to the GDPR. Transitioning to electronic report delivery via the secured myLDR platform will enable LANDAUER to further minimize the exposure of confidential and sensitive data that could result in legal and financial risks. 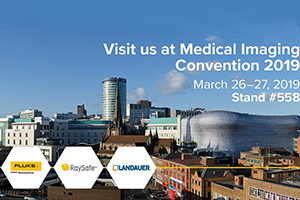 LANDAUER is discontinuing the practice of delivering dosimetry reports via email, Royal Mail and all Courier services such as DHL, FedEx, etc. Furthermore, we are committed to being an environmentally-friendly company. Going paperless will result in saving nearly two acres of trees each year. Our green efforts coupled with the focus on privacy and data security, demonstrates how serious LANDAUER is to address social and environmental issues that impact our clients and the communities where we live and work. To learn more, review the frequently asked questions section below. LANDAUER’s Commitment to Corporate Social Responsibility Privacy and Data Security. 1. What is the effective date for transitioning to electronic delivery of dosimetry? Effective April 1, 2018, LANDAUER has transitioned to a paperless environment as we continue our efforts to improve our data privacy and information security processes, as well as to further protect our client’s Personal Data. LANDAUER now delivers all dosimetry reports electronically via the secured myLDR account management portal. 2. LANDAUER has been in the radiation safety industry for over 60 years and I have been receiving my reports via email or Royal Mail without incident. Why are you making this change now? In May 2018, the General Data Protection Regulation (GDPR) came into effect throughout the European Union and replaced existing regulations in the UK such as the Data Protection Act. As part of its’ GDPR compliance program, LANDAUER has upgraded its Information Security and Data Privacy processes – one such upgrade involves our transition to electronic reporting. Transitioning to electronic report delivery via the secured myLDR platform enables LANDAUER to further minimize the exposure of confidential and sensitive Personal Data that could result in legal and financial risks. LANDAUER is discontinuing the practice of delivering dosimetry reports via email, Royal Mail and all Courier services such as DHL, FedEx, etc. 3. Are other reports impacted by this change? This transition will impact all dosimetry reports with the exception of Annual Reports, Termination Records and Invoices. myLDR.com is a secured online account management portal, available with authorized login credentials. It is the most expedient method of receiving your dosimetry services and reporting information. 5. How do I gain or request access to myLDR.com? 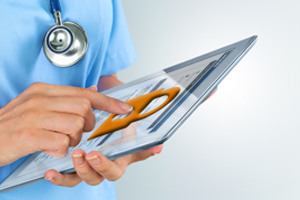 Managing a paperless dosimetry program via the myLDR portal is efficient and secure. To request access for login credentials, visit myLDR.com. 6. Can multiple individuals in various locations receive access to myLDR? Registered subscribers can access reports regardless of their location. Each subscriber needs to request login credentials to gain access to myLDR for dosimetry reports. 7. How am I be notified when reports are available? An automatic email notification is sent to the email address(s) on file to alert you when completed reports are available to be reviewed, downloaded and signed. 8. Do I have the option to download multiple reports at one time? One of the benefits of using myLDR is that you can mass download multiple reports simultaneously; this will help eliminate office clutter and streamline internal procedures. 9. How do I change my password, security question and/or username? This can be changed by clicking the last tab in your menu, Administration, followed by clicking Administrate User. From here, you are automatically taken to a screen where you can change your password. By clicking on the Change Password, Security Question and User Information tabs at the top of the screen, you can change your security question and username. 10. Why can I only see reports from the last 3 weeks? There are two reporting tabs in your menu. The one under your dashboard is only going to provide you with current information. Please follow the steps for “How do I find and open my Dosimetry reports” in order to access reports from 2012-present. 11. How long will my reports stay on myLDR? myLDR is a safe and secured account management portal that you can store and achieve all dosimetry reports for review. We currently retain all reports from July 2012 to present on myLDR. We do not have any current plans to remove any aged reports and they will continue to be available for review and download. If you would like electronic copies of dose reports before July 2012, you can submit a written request to our records department. 12. Will you always retain copies of my reports on myLDR? Yes, we currently retain all reports from July 2012 to present on myLDR. We do not have any current plans to remove any aged reports and they will continue to be available for review and down. If you would like electronic copies of dose reports before July 2012, you can submit a written request to our records department. 13. What if I accidentally delete my email notification? You can recover your e-mail notification quickly by retrieving it from your email account Deleted Items folder. Even if it cannot be found, reports will still be available for access via myLDR.com. 14. I am not receiving emails after signing up to receive my reports electronically. What should I expect? We send a notification to the email address you used to create your online account or updated email provided. If the email address is not correct or current, the notification will not be received. You can correct or change your address on the “Manage account” page on myLDR. If it’s already correct but you’re not receiving the emails, check your spam/junk mail folder and filter settings on your email account. Note: in accordance with our data privacy and information security polices, dosimetry reports are not included as attachments with the email notification. 15. What should I do to make sure I receive the email notifications, after my email address has changed? Once the email address is updated in the system, all future email notifications will be sent to the new email address provided. 16. How can I confirm my enrollment to receive myLDR login credentials to access my dosimetry reports? You will receive an auto generated email with your login credentials. Report notifications will begin with the next generated report. 17. Is there a fee to receive dosimetry reports electronically via myLDR? Your privacy and security matters – myLDR is provided at no additional charge – free service! 18. Can actual reports be emailed with notification? In accordance with our data privacy and information security policies and for your protection, only the notification alert is sent via email. Dosimetry reports will remain on our secured online management account portal, myLDR, which requires login credentials for access. 19. What if I have multiple users that need access to reports? We do not have a limit on the number of users that can access reports via myLDR. The Account Manager should submit a request for login credentials for additional users. 20. Are electronically delivered reports the same as the mailed version that I previously received? The online report is a PDF copy of the same report (both content and format) that was previously printed and mailed by LANDAUER. 21. What are the features & benefits of using myLDR and receiving reports delivered electronically via the secured online account management portal? 22. Who should I contact if I have questions? Contact a UK Customer Service Representative at +44 (0) 1865 373008 or admin@landauer.co.uk. 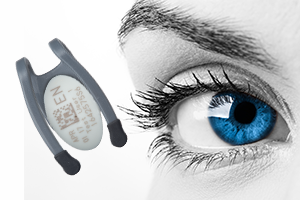 Discover our new VISION® dosimeter designed for lens of eye radiation monitoring.